Nashville, TN – ISIS and other Islamic terrorists are persecuting and executing Christians, destroying church buildings, and driving believers out of the Middle East. But why do we hear so little from mainstream media about the persecution of Christians while they highlight violence against other groups? During Proclaim 16, the NRB International Christian Media Convention in Nashville, TN, a session titled “Christian Genocide” will be held on Thursday, February 25, highlighting the issue and the media silence on it. Convention attendees will hear firsthand stories of what has happened, and why. They will also find out how they can pray, how they can speak up, and how they can stand up for the persecuted Church. Among the session speakers will be Brent Bozell, Founder and President of the Media Research Center, who will expose the media and government silence on this issue. A lecturer, syndicated columnist, television commentator, debater, marketer, businessman, author, publisher, and activist, L. Brent Bozell, III is one of the most outspoken and effective national leaders in the conservative movement today. 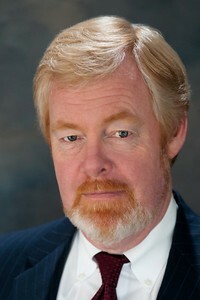 As Founder and President of the Media Research Center, Bozell runs the largest media watchdog organization in America. Since its launch in 1987, the MRC has developed the largest video archive in the world; the popular NewsBusters.org blog site; the CNSNews.com Internet news service; MRC Business; MRC Culture; and MRC Latino, which launched in April 2014. The MRC has more than 800,000 members nationwide, and more than 9 million fans on Facebook.